Whether you are planning a charity fundraiser, corporate meeting, birthday or anniversary celebration, National Golf Club is the perfect event venue. 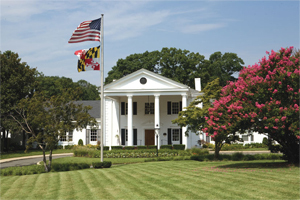 Located only minutes from National Harbor and only 20 minutes from Alexandria and Washington DC, the Clubhouse features the Grand Ballroom with seating for up to 220 guests, the scenic outdoor covered porch - a great choice for cocktails and hors d'oeuvres and the stately Boardroom with AV equipment available and complimentary WiFi. For smaller events, the formal Dining Room offers a more intimate setting for up to 65 guests. 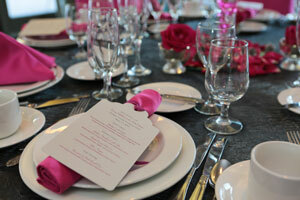 National offers affordable, all-inclusive meeting and event packages with personalized menus for any size budget. 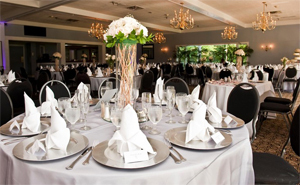 From continental breakfasts, brunch or lunch buffets to formal sit-down dinners, our staff can prepare and accommodate a wide range of menu selections for any type of event. National's first-class amenities, delicious cuisine, along with the professional staff will ensure that your event is sure to be both memorable and successful.